Typically, people think of landlords when they think of property managers. While that is the primary audience for most PM companies, there are other types of entities for which it would make sense to utilize a property management company. 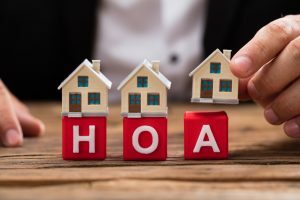 Specifically, a Homeowners Association, or a HOA, works as a natural partner for management companies, due to the fact that many of the different responsibilities of the association fall into the duties of an efficient property manager. Repair community utilities and amenities. Conduct preventative maintenance on community property. Manage the landscaping and upkeep of common areas. Collect HOA dues from all owners within the association. Inspect and enforce security protocols within the community. Handle trash collection and recycling. Act as a consultant to the HOA board. Fast and reliable response times to queries by homeowners. Access to professional technicians, maintenance servicemen, and landscaping companies. Discounted prices from service companies, due to vendor relationships with the property management company. Community disputes are handled by a non-biased 3rd party. Guaranteed government compliance, with regards to taxes and legal paperwork. If you’d like to learn more about how a property manager can make things easier in your community, then don’t hesitate to give a call to Rhino Property Management, today! Our friendly and professional team can give you the answers you need to make an informed decision about what is best for your HOA.